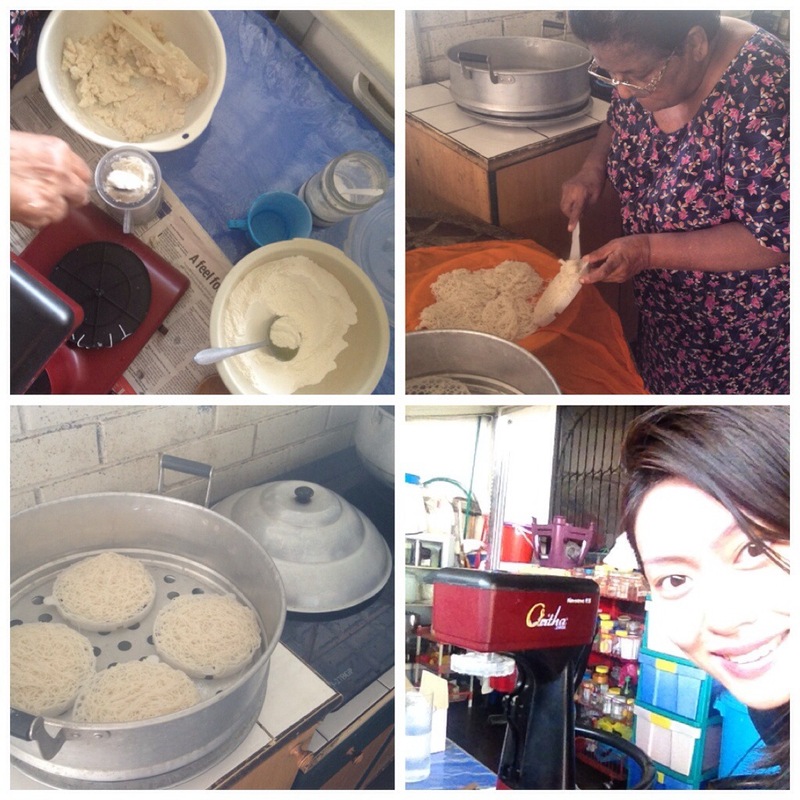 In Amma’s house, everything is made from scratch….including putu mayam! Also known as string hopper in English or idiyappam in Tamil, this savoury snack, in my opinion, is best eaten with coconut flakes and sugar. Though the other day, Amma made chicken curry to go along with it. I was elated with Amma invited me to witness the lost art of making putu mayam. To be honest, Amma made this with her new favourite machine – the idiyappam maker. Last year, she was still making it with hands. It seems that requires not only skills but energy. She promise to show me the traditional way of making it the next round. Can’t wait!